AMC released today the official key art for “The Walking Dead” Season 6.” The series returns on Sunday, October 11 at 9:00 p.m. ET/PT with a 90-minute premiere episode. There’s nothing particularly groundbreaking about the artwork, picture above, but this image below has been making the rounds, and it teases a rivalry between Rick and Morgan. 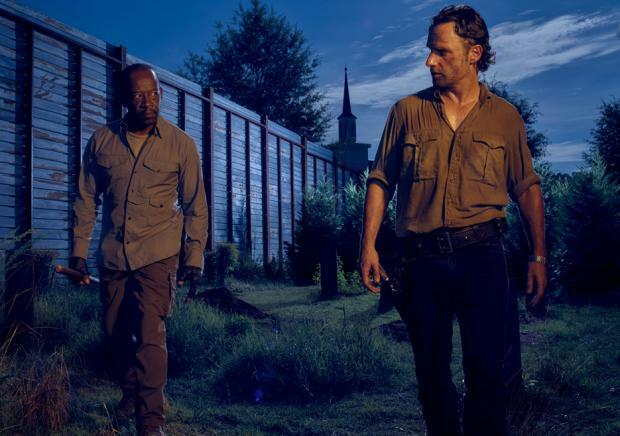 And we’ve already gotten a taste of the upcoming season from the trailer released during SDCC 2015 earlier this year, which again shows an impending showdown between Rick and Morgan. During the series premiere for “Fear the Walking Dead,” AMC released a new TV promo trailer for “The Walking Dead” season six. It doesn’t reveal too much, but explores the dark side of many of the characters who’ll in habit Alexandria this coming season. Fans of the comic books know that Carter originated there, and is one of the Alexandrians who helped build the wall. 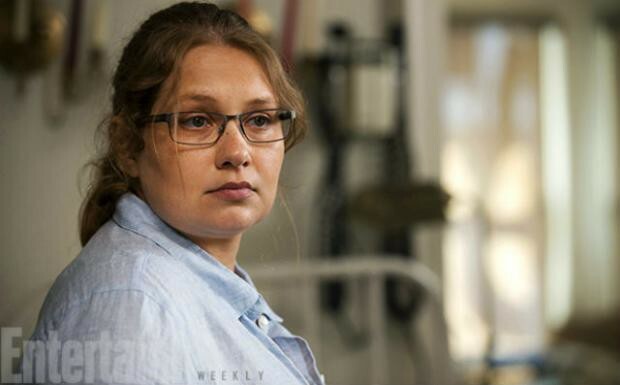 Also, Merritt Wever, who I loved in “Nurse Jackie,” has been cast as an Alexandrian. She’s playing Dr. Denise Cloyd, who plays a major role in the books as a medic and surgeon. “The Walking Dead” is executive produced by Robert Kirkman, Showrunner Scott M. Gimple, Gale Anne Hurd, David Alpert, Greg Nicotero and Tom Luse and stars Andrew Lincoln, Norman Reedus, Steven Yeun, Lauren Cohan, Chandler Riggs, Danai Gurira, Melissa McBride, Michael Cudlitz, Lennie James, Sonequa Martin-Green, Alanna Masterson, Christian Serratos, Josh McDermitt, Seth Gilliam, Tovah Feldshuh, Ross Marquand, Alexandra Breckenridge and Austin Nichols.